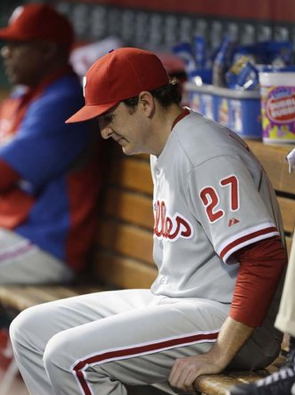 "It's a difficult feat to lose two major league baseball games in one four-hour span by a combined margin of 10, but the 2013 Phillies managed to do so, rather convincingly." Looks like he's trying to take a dump. Unfortunately, he did take a dump - right on the mound! The Gas House Gorillas gave the Tea Totalers a shellacking they'll never forget!